Max from Cycling’74 is a visual programming language for creating applications in real-time. While it was initially created as a tool for musicians, today it is mostly used to create interactive installations, algorithmic music and visuals. But today we are not going to talk about the benefits or disadvantages of this app. In response to our many inquiries about how to uninstall the Max Cycling’74 app, we have prepared a full removal guide. In this article, we will provide two methods of uninstalling Cycling’74 Max. How to uninstall Max Cycling’74 manually. How to uninstall Max Cycling’74 using an uninstaller tool. Video Guide: how to remove Max Cycling’74. The manual method of uninstalling Max Cycling’74, as well as any other application on a Mac, requires deleting the app’s executable file and all its service files. It is important to delete service files of previously-deleted apps, as they take up a significant amount of space on your disk. If you don’t clear your Mac of these unneeded files, over time they will clutter your disk space and may negatively affect on your Mac’s performance. Follow these steps to manually uninstall the Max application on your Mac. Go to the Application folder and remove the app’s executable file from there. In the window that appears, type ~/Library and click GO. Here in the Library folder, you can find caches, logs, preferences and all other support files of apps. You should find and remove subfolders and files associated with Max from Cycling`74. 5. The last step is to empty Trash and restart your Mac. Now the Max application has been completely uninstalled from your Mac. 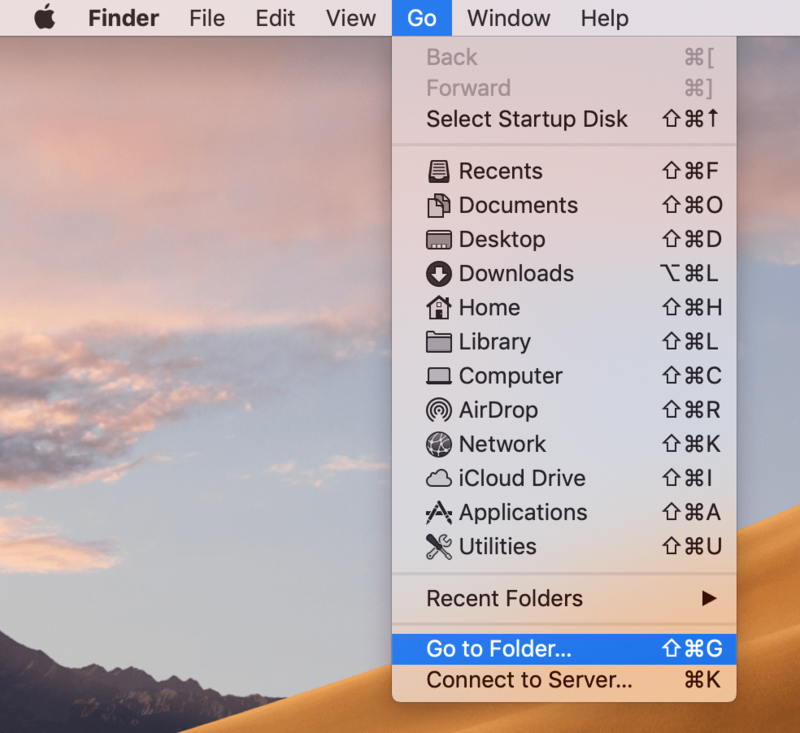 We understand that it may be not so easy to find all the service files in Library, and would like to share a useful tip to easily search for hidden service files on your Mac. 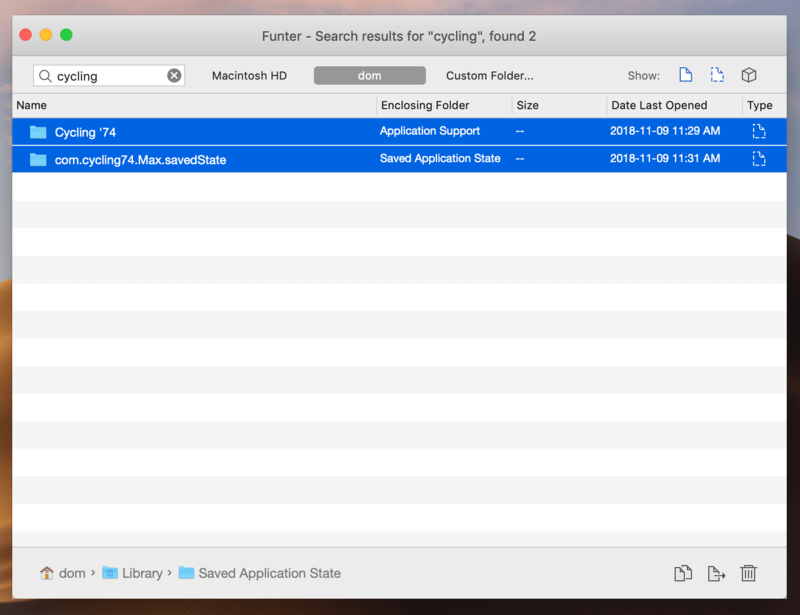 You can use Funter, a free application, to find any file on your Mac by its name. Funter finds hidden files that Spotlight never displays. Just type the name Max or Cycling74 to get the results. Now let’s learn another method, which is the quickest and easiest way to completely uninstall apps. 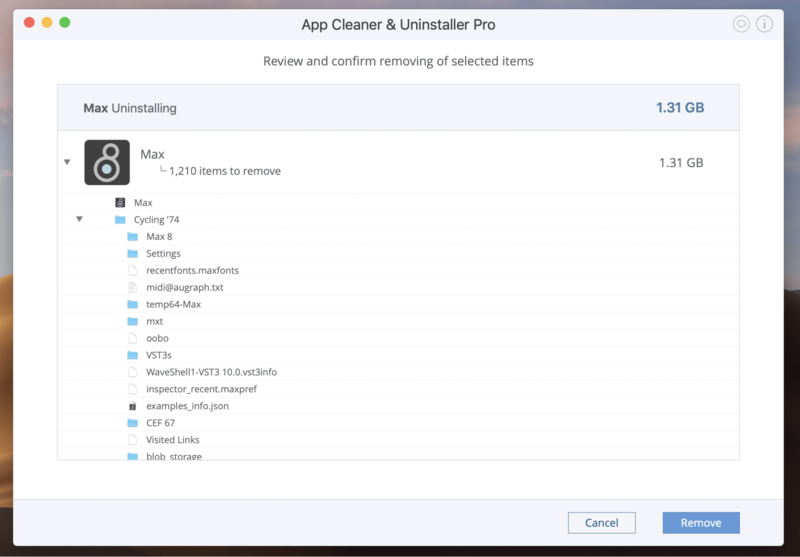 There is a special software tool, App Cleaner & Uninstaller, designed to delete apps with all their service files with a few clicks. The uninstaller provides a free trial for seven days. You can use App Cleaner to uninstall Max. It will take less than a minute. As soon as App Cleaner finishes scanning your applications, find and select Max. Click the Uninstall button. Now you know two methods of uninstalling Max on a Mac. 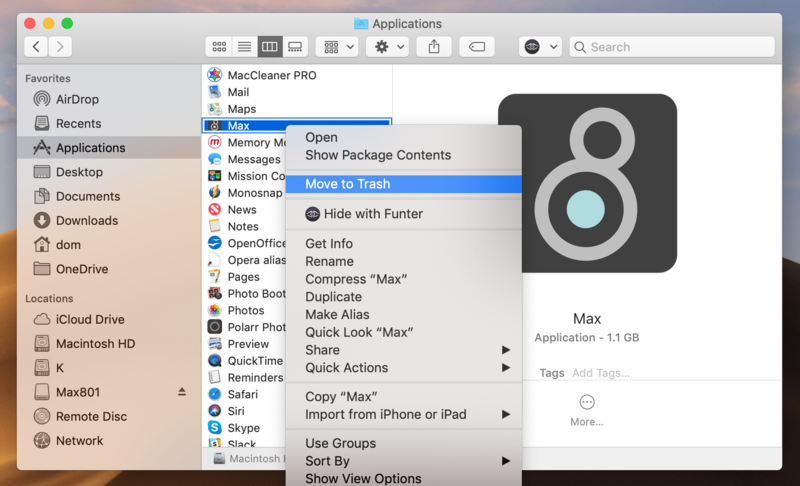 You can use both of these methods to delete any program on a Mac. 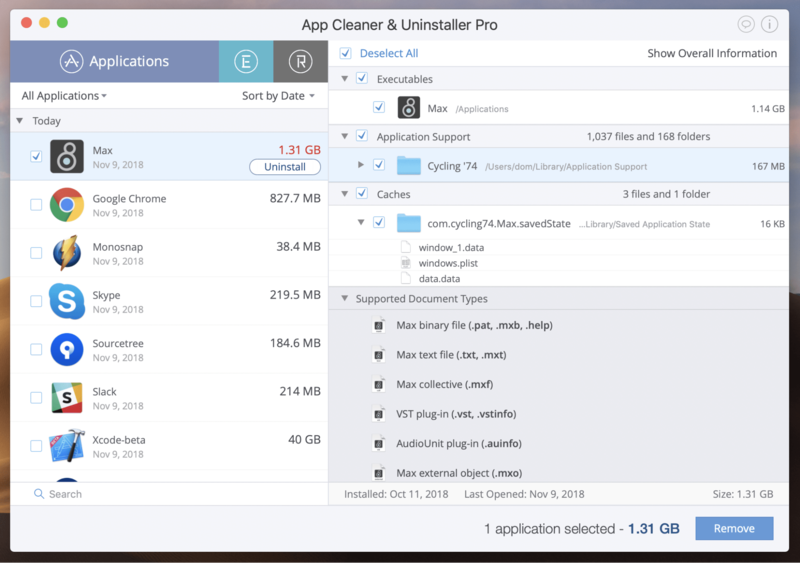 If you choose to use App Cleaner & Uninstaller, we recommend that you visit the software’s Support page to learn more about it.